Coloring mortar accurately and consistently is only achieved by preblending all mortar constituents and pigments using computer batching systems, while adhering to a specialized process. 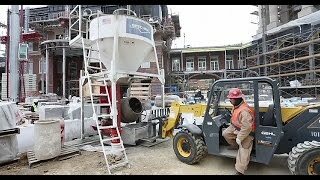 Over 20 years ago the SPEC MIX organization introduced this technological approach for colored masonry mortars to the construction industry, and it continues to perfect this process. 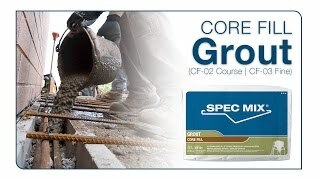 SPEC MIX colored mortar uniformity starts with sourcing high quality, stable pigments that are pre-weighed to ensure the colorant loading meets each specific formulation for our standard and custom colored mortars. Then all the ingredients are weighed and preblended to achieve a homogeneous mixture. 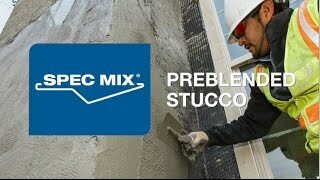 SPEC MIX® Portland Lime & Sand mortar is a dry preblended mortar mix containing Portland cement, hydrated lime and dried masonry sand formulated for superior bond, water retention and board life. Available in Types M, S and N, each meets ASTM C 270 and ASTM C 1714 requirements. SPEC MIX Portland Lime & Sand is available in standard or custom colors.